Weekend Gourmet, December 26, 2011 - Hartke Is Online! Well, ho, ho, ho and two sore backs later (his and hers! ), we are done with the holiday festivities! Friday night was dinner with the Kettle’s (my family) and Sunday was Christmas Day dinner with the Hartke clan. Friday night we had Field of Athenry rack of lamb, sweet potato hash (remind me to share this awesome recipe) and rainbow chard with bacon drippings and onions. Saturday, we filled the Hartke “sleigh” with coolers and headed out to the country, where we picked up milk for half a dozen families. More on that, tomorrow. Sunday, we enjoyed the traditional turkey with all the trimmings! That is such an easy meal to put together, as all my in-laws contribute different dishes to the meal. Leaving me to just make the turkey and cranberry sauce. My fermented cranberries were so delicious smeared on the apple cider brined Amish pastured turkey. I have dubbed them “Tipsy cranberries” (trying to interest my in-laws in them!) For the first time, I used Palm oil to rub down the turkey (and the rack of lamb) which produced lovely deep orange brown drippings. Please check out my other blog post today, entitled, The Christmas Angel. We had a big surprise on Christmas eve while visiting a Virginia dairy where we board a cow. Now for the Weekend Gourmet blog carnival!! How was your special time? Bloggers, please share a post and link back from your blog. Readers, post recipes, comments, your holiday gifts and blessings in the comments. 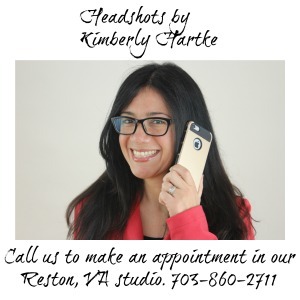 Kimberly Hartke is a realfoodmedia.com blogger! Please tell your friends about our fresh and local blog carnival, found right here on most Mondays! I’m excited to try your fermented cranberries, I love all things cranberry!